This art walk will guide you along 16 sculptures that are on permanent display on the campus. Small signs next to each of them inform you about the artist, his/her work, and a map that shows you how to continue on your way. 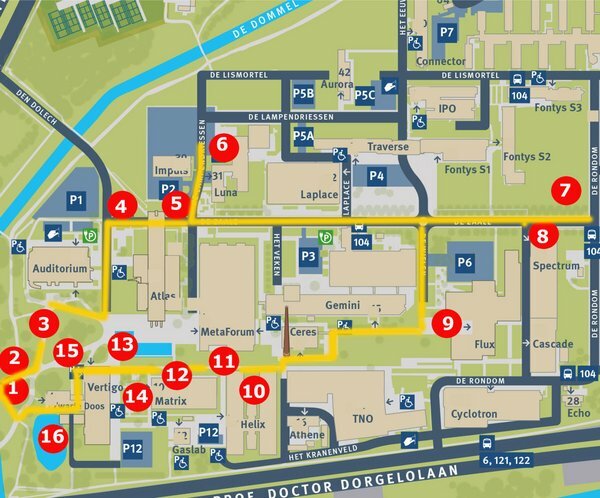 The map shows the locations of all sculptures and the route you could take. The walk takes an hour on average, but you can shorten it as you like.